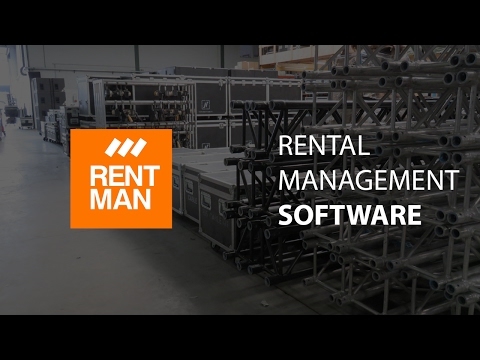 Rentman is a cloud-based rental software that offers SMBs in the AV, event and production industry a single platform to manage equipment, planning and invoicing. Incorporating a visual dashboard, an online calendar and a drag-and-drop interface. Rentman aims to deliver a comprehensive yet user-friendly rental solution. In order to manage rentals effectively, Rentman equips users with the tools to organize inventory, schedule workforce, and generate quotes and invoices easily. It enables users to keep track of their equipment availability and manage sub-rentals. With integrated support for QR codes inventory statuses can be accurately tracked and updated. Rentman makes smart planning possible with a drag-and-drop scheduling calendar. It simplifies event organization by presenting users with a clear overview of crew member’s agendas. Using the mobile app, (freelance) workers can easily check work schedules and register their hours. Quotes and invoices can be easily generated in the software, using your own document structure and layout. With automatic backups and bank-level security standards, Rentman ensures that all documents and data are stored securely. Rentman’s services include high quality support and help getting started. For us "Rentman" is the Swiss-Knife of Event Software. It allows us to plan and schedule Material, Personal, Logistics and to create offers, invoices and reminders on one online Plattform. We can use "Rentman" from every Point of the world and any System because it´s a browser based online tool. We use it since two years and it´s running completely stabil and secure. It´s easy to use and you can give difeerent roles to every employee depending on his role in your Company. From our Point of view "Rentman" is the most powerful and flexible Software for Event-Companies which is available in the Moment. We tried also Easy-Job before but it´s too expensive, too complicated and also too unflexible because there´s no Cloud-Online-Solution. One of the main profits of Rentman is the Support they give to you along the whole time. We got an complete "StartUp-Workshop" via Online teaching for our complete Team, so afterwords everyone knew the main functions and advantages of rentman. If there should be a Problem you can call them anytime and they will fix it professionell and fast. The Rentman App is nice to have but it´s not really complete funktional at the Moment, it should have more of the Features which is included in Rentman-Online. Especially the online availability is extremely attractive. This facilitates much. It is always up-to-date and can be viewed from anywhere and possibly changed. The staff are always well informed about material and personnel. The program does what it is supposed to do well, quickly and clearly. There are hardly any wishes about it without which it is too crowded. Around a successful software which is always developing.The clarity and clear procedures. Also the quick overview and online availability. The planning of material personnel and vehicle fleet becomes child's play. The organization of the material is simple and clear, as is the overall appearance of the software. Everything runs very reliably. Also the hiring of material is easy to do. The workshop module is clear and practical. This program is packed with knowledge and passion. The support is very fast and effective. The clarity and clear procedures. Also the quick overview and online availability. The planning of material personnel and vehicle fleet becomes child's play. The organization of the material is simple and clear, as is the overall appearance of the software. Everything runs very reliably. Also the hiring of material is easy to do. The workshop module is clear and practical. This program is packed with knowledge and passion. The support is very fast and effective. Little things in the mobile app. For example, you can not simply create a project quickly, with name and date and info. You can work out later in the office. That would be very helpful if you get orders on the way. Otherwise completely satisfied. This software is made for project and equipment controlling, time to time I would like to have some more options to control this through economical information. But as I have been told this will get some new possibilities in the next versions, that will help us out in most cases. Hey Lauri, thanks a lot for leaving a review. Our developers and support engineers were thrilled to hear such good feedback and we are proud that Rentman is already being used in two of your companies. It's good to hear that your transfer to Rentman worked flawlessly. Making sure that you can get started with Rentman easily has always been one of our highest priorities. The ability to see more economical information like equipment and customer history will be introduced next month so stay put for our next big update! With Rentman we can manage and simplify all our business processes. - The price structure is based on fixed packages (Lite, Pro, etc.) but I would prefer to book only certain modules that you would like to use. - The warehouse location of your equipment is not displayed in the app. Thanks for your great feedback Philipp. Our team here at Rentman is always happy to hear that our cloud software is able to help you with your daily rental management. We started off as a rental company and know how important simple but powerful features are for a good rental workflow. We have gotten some very positive feedback on our Rentman App in the past months and are planning to add even more cool features. This will also include the ability to see where in the warehouse your equipment is located! We understand that only using certain modules of Rentman would be even better for you but we do require some sort of pricing structure to provide the best service for every rental company. However, you can already adjust your Rentman license by adding more administrators (powerusers) in busy summer months and removing them when everything has calmed down. Thanks again for your review! Hey Cairbre, thanks a lot for your review and feedback on Rentman. We were happy to hear that our support team has been this helpful over the past year. I have made sure that they get the praise they deserve! It is great to see that Rentman has improved so many aspects of your rental workflow. We are always doing our best to make inventory management, labor scheduling and reporting as easy and efficient as possible for you. Our developers are hard at work so mobile scanning with the Rentman App will be available in no time. Feedback like yours is what we base a lot of our development priorities on. Thanks a lot for your help and support! Rentman offers 3 pricing tiers. Rentman also provides a number of extensions. Easily generate quotes and invoices using your own layout. Visual drag-and-drop scheduling for crew and transport. Faster handling with built-in support for QR- and barcode scanning. Email and push notifications to directly communicate with crew members and customers. Below are some frequently asked questions for Rentman. Q. What type of pricing plans does Rentman offer? Q. Who are the typical users of Rentman? Q. What languages does Rentman support? Q. Does Rentman support mobile devices? Q. Does Rentman offer an API? No, Rentman does not have an API available. Q. What other apps does Rentman integrate with? Q. What level of support does Rentman offer?